The FDA is taking new steps to promote generic drug competition as part of its ongoing implementation of the Drug Competition Action Plan, according to a statement released by FDA Commissioner Scott Gottlieb, MD, on January 3, 2018. In a press release from November 28, 2017, the American College of Rheumatology (ACR) is urging the Centers for Medicare & Medicaid Services (CMS) to reconsider proposals reducing health exchange insurance coverage, affordability, and patient choice. Under the new proposed framework, the Medicare Part B therapy caps would be repealed beginning January 1, 2018. The new bipartisan agreement will continue the manual medical review process and the requirement of an appropriate modifier for claims submitted above the new threshold if procedures are considered medically necessary. FDA Under the Trump Administration: Can Scott Gottlieb Improve the Drug Approval Process? According to Ms Skolnik, the appointment of Dr Gottlieb as the new FDA Commissioner may provide some semblance of stability to the FDA amidst potentially radical changes. This article is focused on high-stakes claims appeals of the utmost difficulty, rather than the routine process. In rheumatology, such high stakes inherently will always entail a buy-and-bill specialty medication, such as a biologic or hyaluronan; to our newer colleagues, those medications are normally billed as J codes. “The Administration’s proposed 2018 budget would slash vital funding for institutions and agencies that, together with rheumatology providers, are on the frontlines of rheumatic disease prevention and care." On January 20, 2017, the Institute for Clinical and Economic Review (ICER) released a Draft Evidence Report evaluating the clinical effectiveness and relative value—including value-based price benchmarks—of targeted immune modulators used to treat patients with moderate-to-severe rheumatoid arthritis (RA). 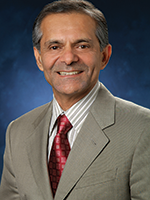 In early March 2017, American College of Rheumatology (ACR) President Sharad Lakhanpal, MBBS, MD, released a statement asserting the ACR’s position on the controversial American Health Care Act (AHCA).